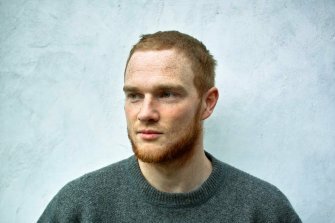 Rian Treanor è un artista e produttore inglese. La sua pratica sonora, all'intersezione tra club culture, arte sperimentale e computer music, intreccia un mondo di componenti musicali fratturate, tra garage iper-cromatico e footwork puntillista. Treanor è una nuova voce nella musica underground britannica. Dopo i primi album A Rational Tangle e Pattern Damage pubblicati per The Death of Rave, Arcola, la sub-label della Warp che si occupa dei contenuti più rari, nel 2018 pubblica Contraposition. Treanor ha suonato al centro d'arte contemporanea GES-2 a Mosca, Irish Museum of Modern Art Dublin, Berghain Berlin, OHM Berlin, Cafe OTO London, Glasgow Centre for Contemporary Arts, Empty Gallery Hong Kong, Summerhall Edinburgh, ed è stato in residenza al yU+co [lab] di Hong Kong e Counterflows in India. Rian Treanor is an artist and producer based in the north of England. His sound practice re-imagines the intersection of club culture, experimental art and computer music, presenting an insightful musical world of fractured and interlocking components. Treanor is a disruptive new voice in British underground music. After his debut album A Rational Tangle and his 2nd EP Pattern Damage released on The Death of Rave, in 2018 the Warp sub-label Arcola, usually reserved for the rarer sort of content, relaunched with his Contraposition. His hexagonal and half-stepping bleep-bass mutations rewire hyper-chromatic UK garage and pointillist footwork. Recent live shows at GES-2 Moscow, Irish Museum of Modern Art Dublin, Berghain Berlin, OHM Berlin, Cafe OTO London, Glasgow Centre for Contemporary Arts Empty Gallery Hong Kong, Summerhall Edinburgh, as well as taking part in artists residencies at yU+co[lab] in Hong Kong and with Counterflows in India.